There were good reviews of this restaurant. Decided to try it out. 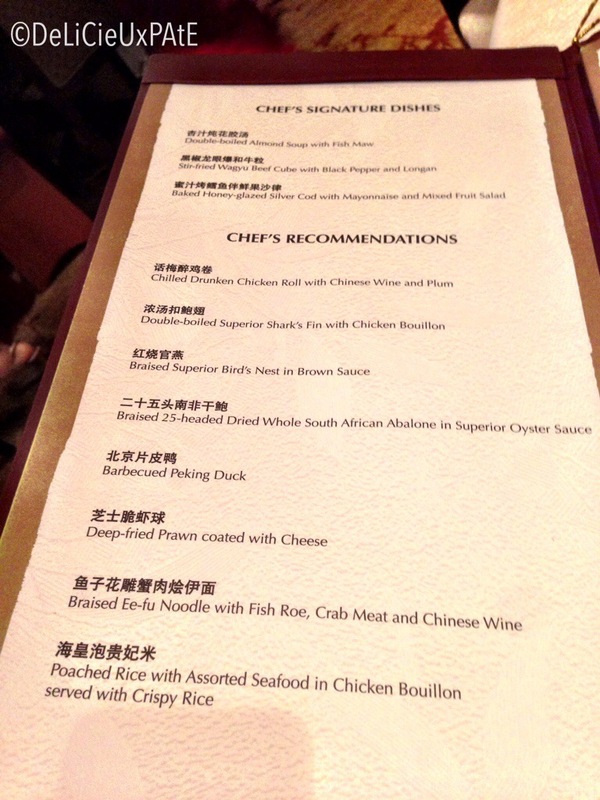 As it is our first time, we ordered all our dishes from the chef’s signature and recommended dishes. 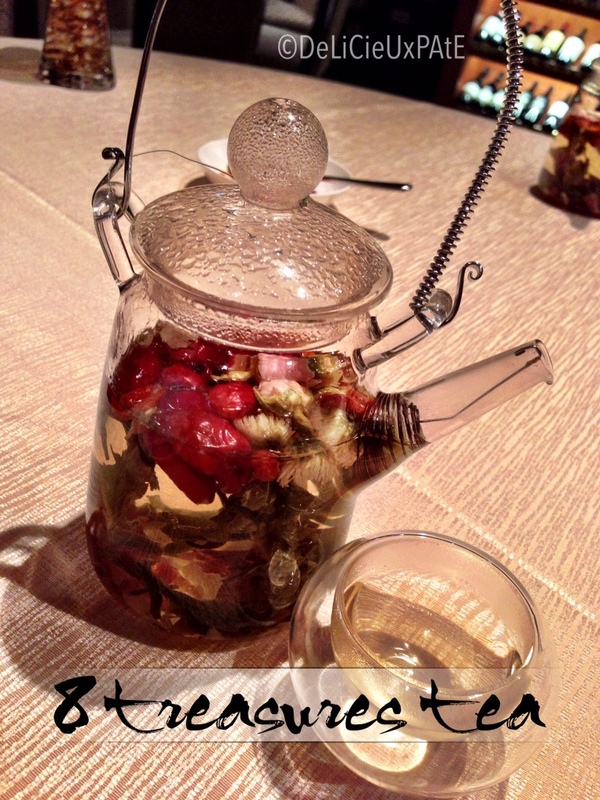 Double boiled almond soup with fish maw 6/10 – I love almond soup or tea, the sweet version. 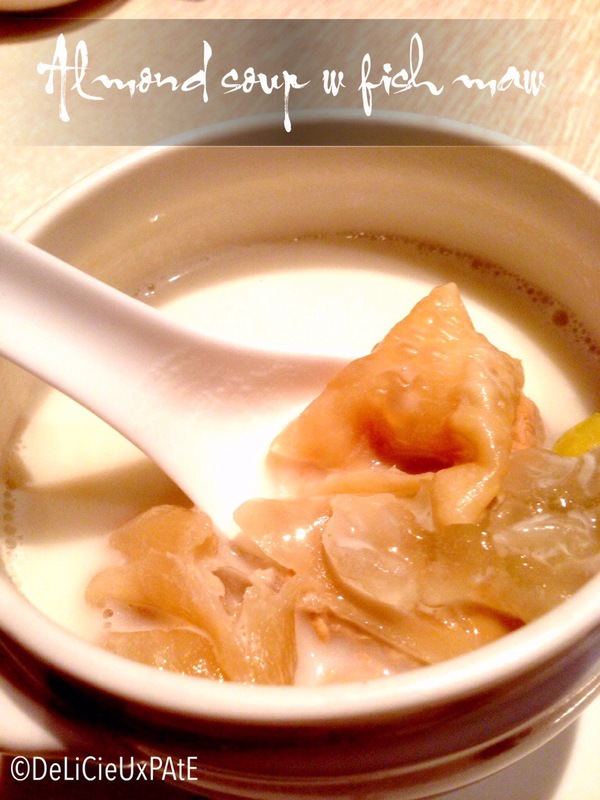 The almond soup of this dish was silky smooth and would be lovely as the sweet version. However, having it as a savory version with one of my favorite ingredients, fish maw just did not taste so right. 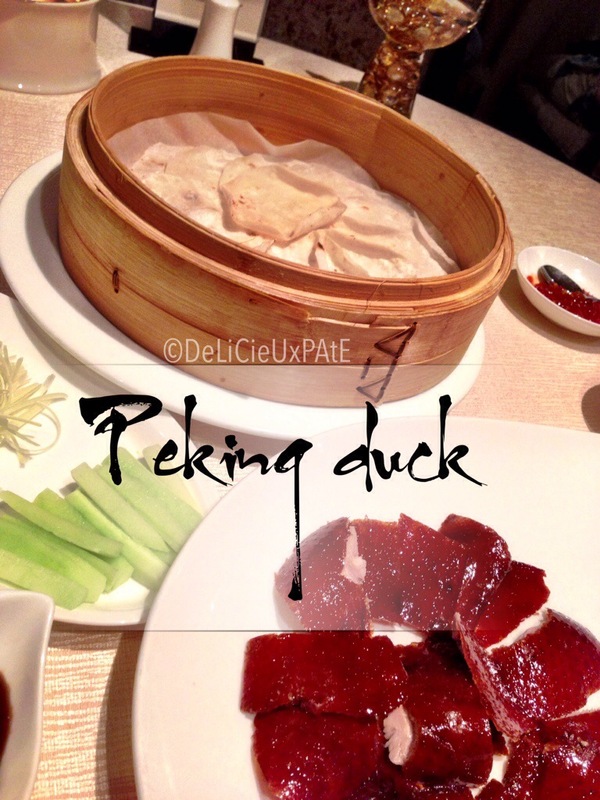 BBQ Peking duck 7/10 – this was the most decent dish of the evening. 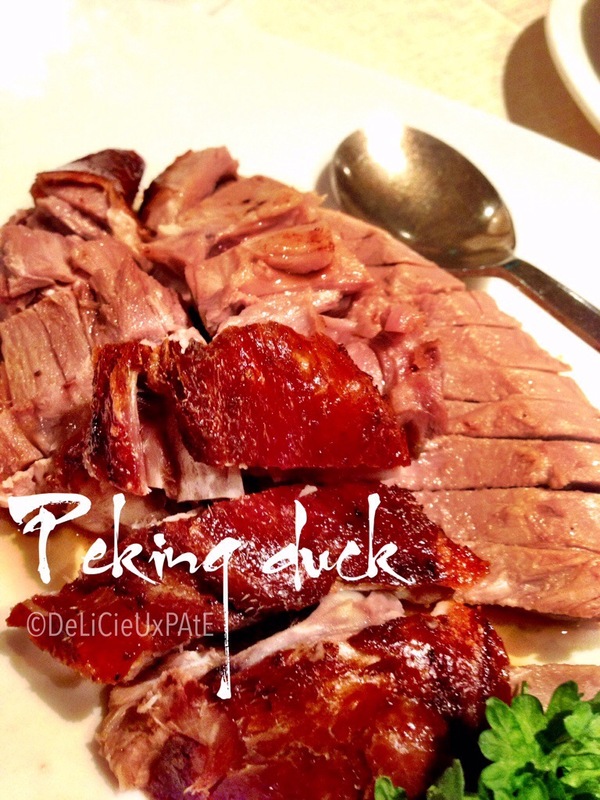 But the skin of the duck was not cut up well. There were still a lot of fats attached to the skin. 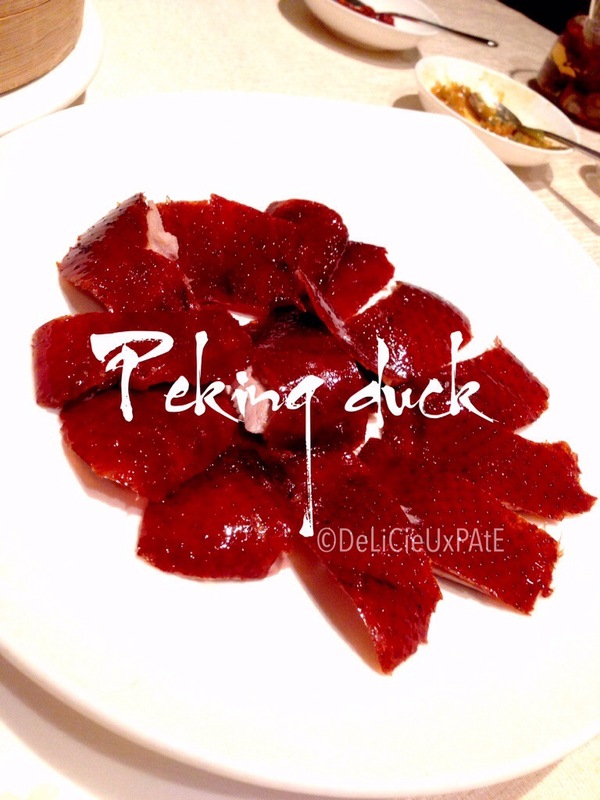 As compared to another restaurant in orchard which serves up decent Peking duck, was slightly disappointed in the way the waitress carved the duck up. And it really was a waitress not a chef carving the duck… However, the meat was tender and skin was crispy so those were the saving grace. 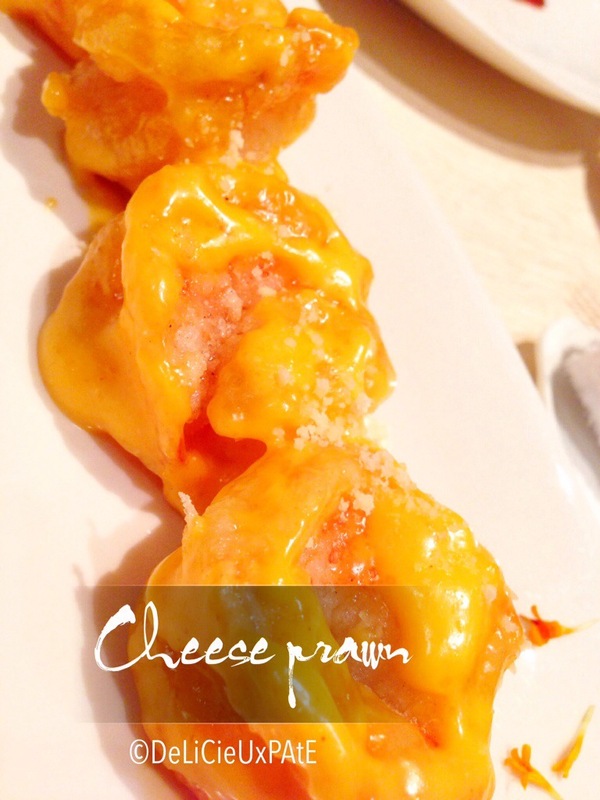 Deep fried prawn coated with cheese 4/10 – this was just deep fried prawn coated with nacho cheese, seriously… I’m not even sure why this was in the Chef’s recommendation. 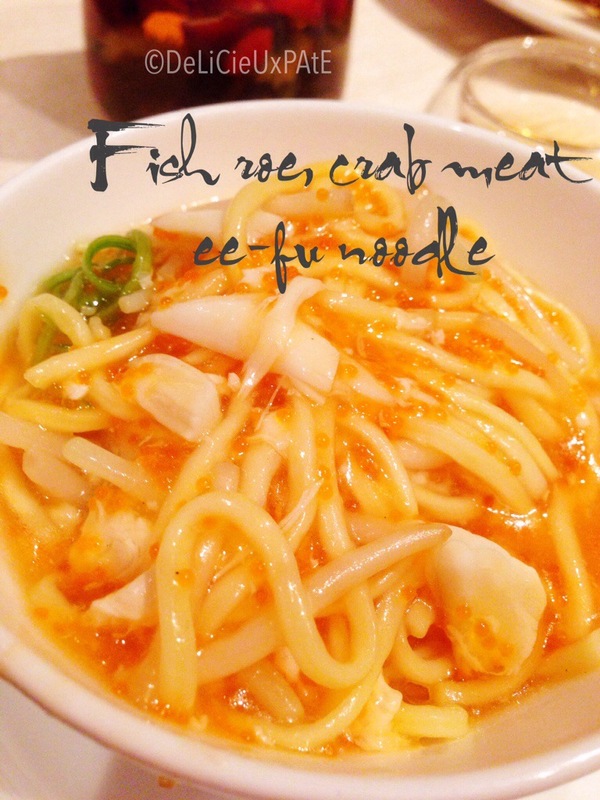 Braised ee-fu noodle with fish roe, crab meat and Chinese wine 4/10 – doesn’t this dish sound yummy? It wasn’t. The dish tasted like it wasn’t seasoned enough. There were very little crab meat. We just could not eat this very much. 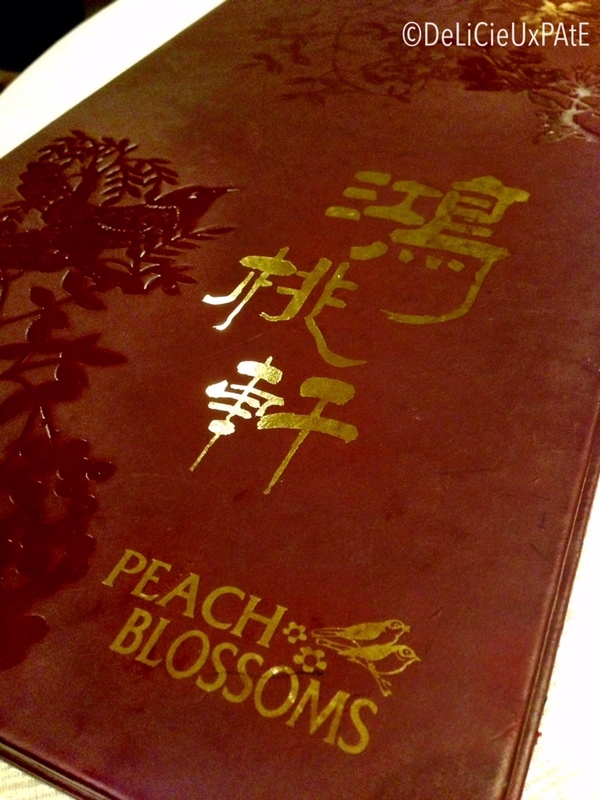 I brought it back and flavored it with sauces before it tasted better. 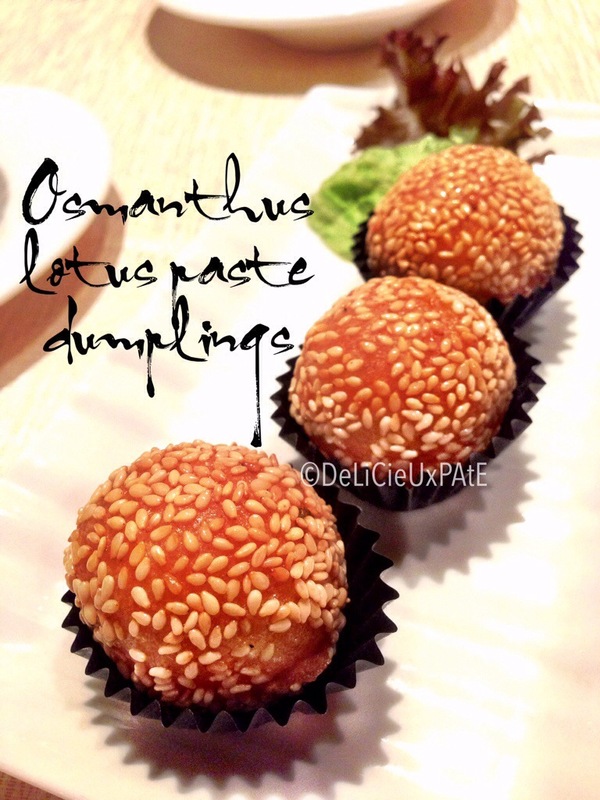 Both desserts 5/10 – the osmanthus dumplings were not to my liking, too sweet and tasted too perfumed. 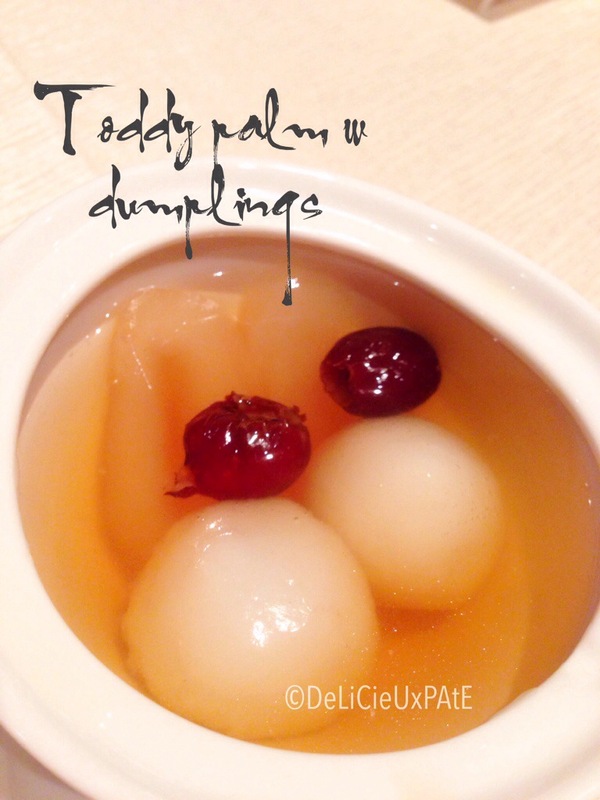 The toddy palm with dumplings was nothing special.